Did anybody else see Joe Biden smirk as the president talked, only half of the room would applaud, or that John Boehner blew his nose? A whole account could be given on the reactions of Congress because the State of the Union is more than President Obama giving his agenda and suggested plans of action for the year. It allows Republicans and Democrats to give a aye or nay. And it is important to notice these things (minus the stuffy noses) because it indicated how smoothly 2014 will run. However, not applauding or giving a standing ovation is far from extreme, especial compared to what President George W. Bush faced in 2005. When discussing social security, Bush said, “The whole system would be exhausted and bankrupt by 2042” This was followed by intense boo-ing from the audience. I’m sure it gave some quality entertainment for John Stewart or other satires. 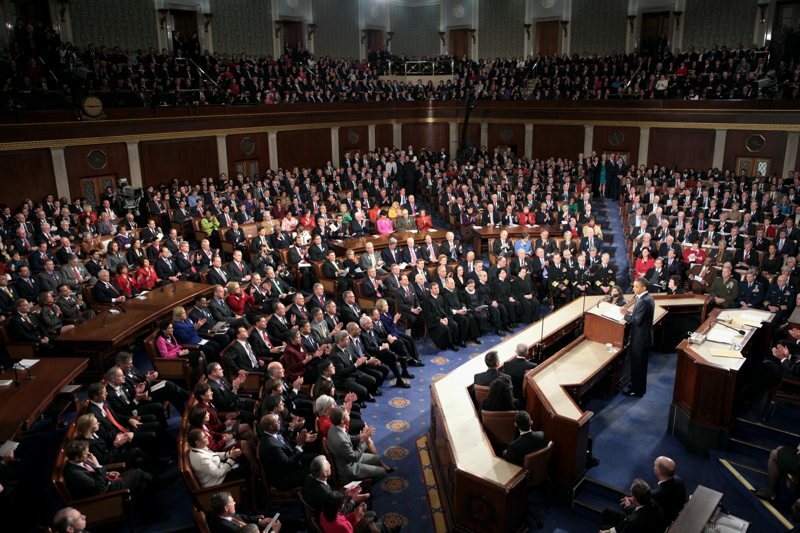 The State of the Union has also become a show once it began being broadcasted on television to all Americans. It has required the President to be likeable, emotional, and a better speaker. President Obama not only spoke of political problems and solutions, but he gave narratives of veterans and the working class. One veteran had a two minute applause. This show is not contained to the State of the Union though. Politics has become a game of beating around the bush in order to keep votes, and it has become a form of entertainment for us.